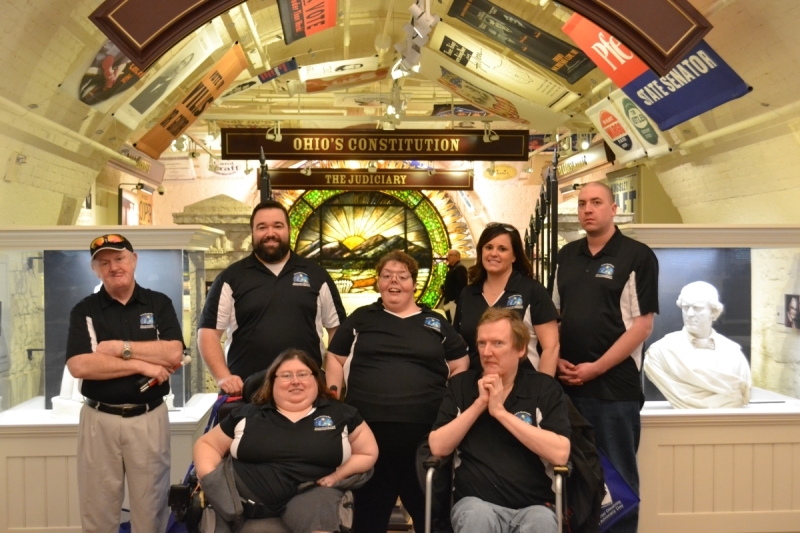 Voices Speaking Out is the Self Advocacy group sponsored by the Warren County Board of Developmental Disabilities. Members of the group are comprised of adults receiving services from our agency. They meet to advocate for independence for independence and the inclusion of people with developmental disabilities into community life. They learn the importance of self determination, and work to ensure that all people are treated equally and fairly. They are provided guidance, leadership and training opportunities to help them reach their goals. Voices Speaking Out is staffed by Ellen Hudson. The group meets once a month at 6:00 p.m., on the third Tuesday of each month at the Community Connections offices, located at 107 Oregonia Road in Lebanon. New members are always welcome.